Who doesn’t love cheese and crackers? We’ve got some ideas for putting together a killer cheese plate, no matter if you’re a master chef or entertaining rookie. Let’s start with getting a basic cheese plate together. The most important thing to remember is that you’re aiming for foods guests can easily eat with their hands. Finger food items are best. 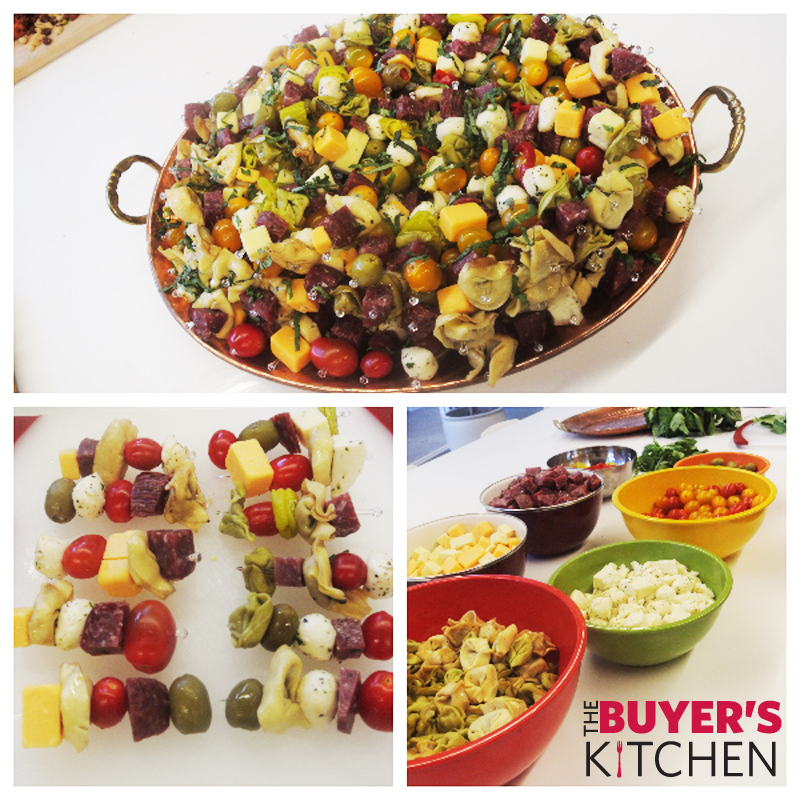 – Incorporate different dimensions, flavors, & textures for a good balance! – Grapes have beautiful color and are easy to grab! – Olives, the savory counterparts to grapes, add extra flavor. Try a few different varieties. – Nuts add crunch — and they look great scattered across a board. If you cherish convenience, buy sliced cheese and salami. 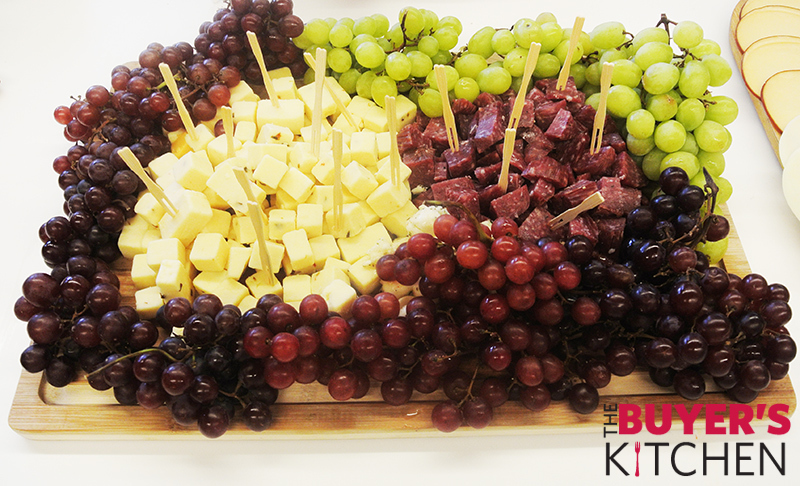 Cubed cheese is also a great alternative for convenience and makes a great finger food! Add toothpicks for easy “picking”. 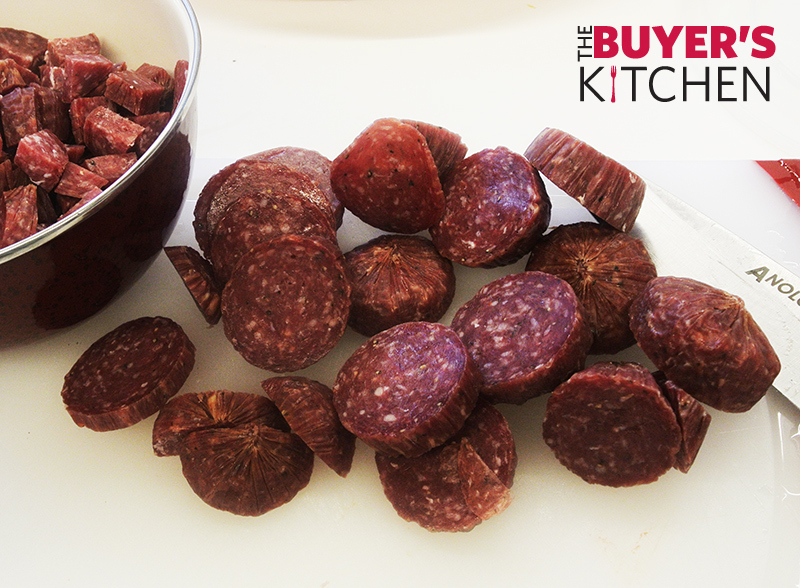 **Saving tip–Use bulk salami pieces, which we cubed alongside the cheese. It’s a little labor intensive but is cheaper than large quantities of sliced salami. Antipasto (plural antipasti) means “before the meal” and is the traditional first course of a formal Italian meal. In this recipe, we have put an American twist on a traditional Italian favorite. 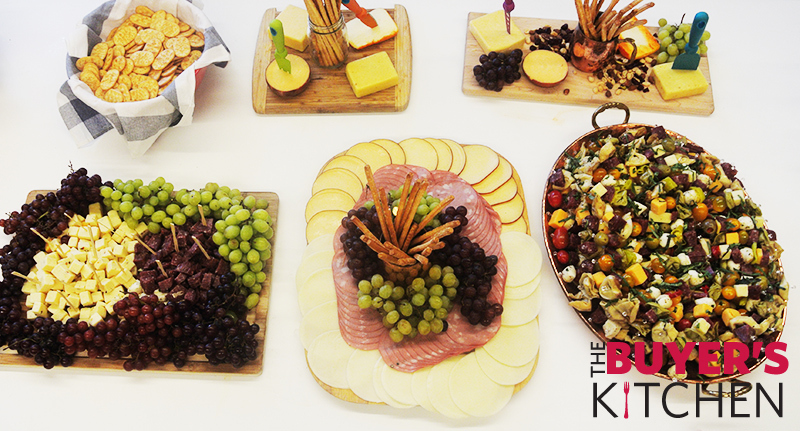 By skewering each element of our Antipasti assortment, your guests will get to sample everything at once! So fire up the Frank & Dean Pandora station, pour yourself some vino, and enjoy! 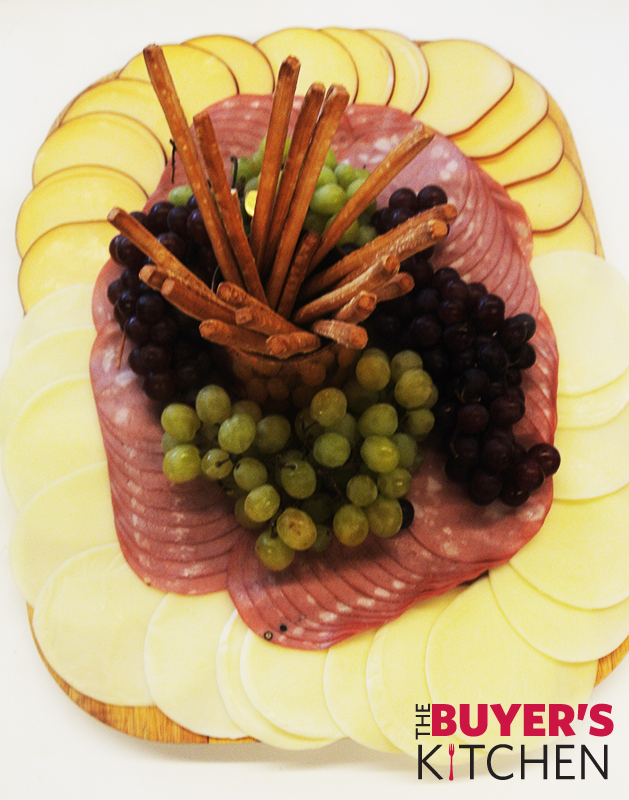 Feel free to get creative with this concept, selecting your favorite antipasto items. This concept is also great for any time of year, as you can choose ingredients that are seasonal. Cherry tomatoes are a great example for a summer season inspired antipasti! Prepare the tortellini according to package instructions. Once cooked and drained, place pasta into a large bowl and drizzle with Italian dressing. Mix to incorporate. Cut salami into 1/2 inch cubes. Wash the cherry tomatoes. Drain olives and pepperoncini’s. Slice pepperoncini’s into halves for skewering. Chiffonade the basil. Set up your “assembly line”. Place all ingredients into bowls and begin to skewer. Stack skewers onto a tray. Once completed sprinkle with the basil. Serve & enjoy!